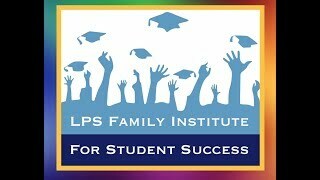 Congratulations to the parents at the Arlington school for graduating the LPS Family Institute for Student Success last night. LFISS is a nine week program that teaches parents how to be more involved in their child's education to create a college-going culture for their children. Gator Advisory Board Upcoming Meeting! We would love to have you all at our next Gator Advisory Board (GAB) meeting, scheduled for Thursday, December 6, 2018, from 7:45am - 9:00am in Room B143. Robin Finn, Principal of the Arlington Middle School, will be presenting on the NEW Standard Based Report Card and how it impacts student success. Looking forward to seeing everyone at our next meeting! How do you get to your local park? Parents / Guardians / Community Members there is an upcoming community meeting being organized by the our City and State to evaluate physical and social barriers residents face in accessing public parks. The meeting is being organized for Thursday, November 8 at the Lawrence Senior Center (155 Haverhill Street, Lawrence). For more information please see the attached flyers. Thank You. Read more: How do you get to your local park? Please join us for our Annual Fall Festival at the Arlington Educational Complex on Friday, November 16, 2018 from 3:30-5:30 PM. We will have a bouncy house, arts and crafts, music, dancing, food, and more!! Come rain or shine, the Fall Fest will be held inside the building. Family fun for everyone, see you there! Parents JOB FAIR For Spanish Speakers! The Lawrence Working Families Initiative is organizing a job fair for bilingual or Spanish speaking LPS parents. The event will be held at the Lawrence Public Library on Wednesday, November 1 from 11AM to 1PM. Those interested in participating must call 978-722-7000 to register. If you have questions about this event please contact Marianela De La Cruz, Lawrence Working Families Initiative Manager, at 978-975-5900, extension 25705.